Stores now have whole sections devoted to festival fashion, #festivalfashion pops up on Instagram, and listicles chronicle the best festival outfits, but no one does festival fashion quite like the Fashion Meets Music Festival in Columbus, Ohio. Held August 18 & 19 at Fortress Obetz stadium, the Fashion Meets Music Festival welcomes dozens of performers to three stages and showcases designers in a variety of styles through runway shows. 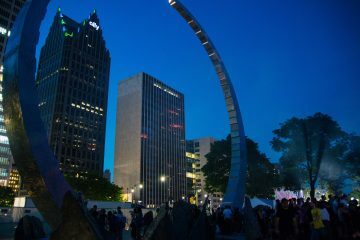 The festival has been held every August or September since 2014, when Columbus welcomed headliners O.A.R. and Michelle Williams. Leading the fashion side this year is Project Runway’s Michael Drummond, a Missouri native who graduated high school in Ferguson and took many of the first steps of his design career in St. Louis. 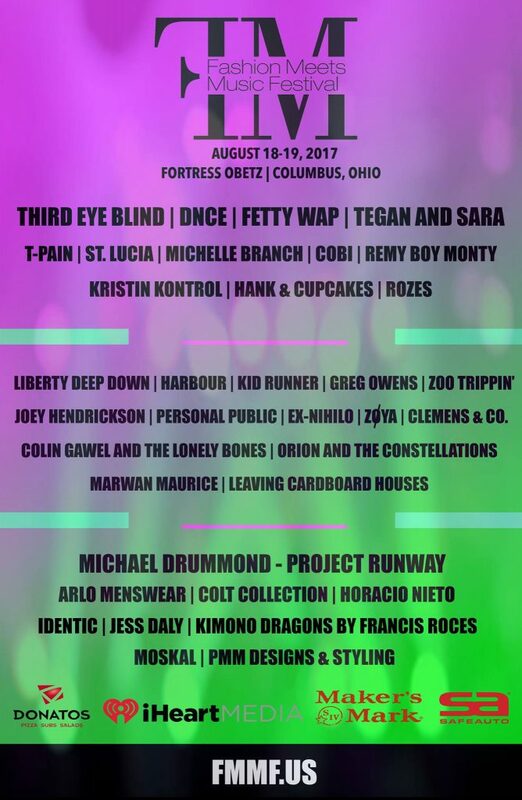 Several big names are in the music lineup, including Third Eye Blind, DNCE, Fetty Wap, Tegan and Sara, and Michelle Branch. Third Eye Blind will be older than some of those in the crowd, having formed in 1993. Their first album was released 20 years ago; they’re honoring that milestone with the ongoing Summer Gods Tour, of which Fashion Meets Music Festival is a stop. DNCE, in contrast, is a young band, having been together only two years. They’re known for their hits “Cake by the Ocean” and “Toothbrush,” which received a fair bit of radio play. Single-day and two-day passes for the festival are available online at http://www.fmmf.us/tickets.html or at the festival entry gate.